IPL (intense pulsed light) therapy is a light-based treatment that utilizes a range of different wavelengths in the light spectrum, to reverse signs of aging from sun damage. Over time, all of us suffer some degree of skin damage due to repeated exposure to UV radiation. This results in change of skin texture, unevenness of pigment, discoloration, freckles, broken blood vessels that cause redness and sensitivity. 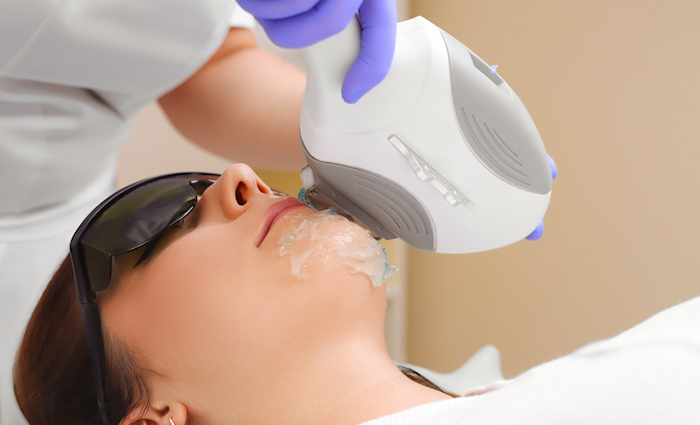 IPL photo‑facials target discolored brown or red areas. As a result it improves skin texture and color, and has also been shown to relieve the outward symptoms of rosacea, often for several years. A photo-facial has the added benefit of stimulating collagen production to further assist in achieving your best skin health and aging smart. A series of 3 to 6 treatments, at the frequency of every 4 to 6 weeks, are recommended to achieve the best results. Book a consultation with our skin experts to decide if this is an appropriate treatment for you.